The 300% to 800% run up in bitcoin and alt-coins prices since mid 2017 has increased public awareness of crypto currencies and block chains. These new technologies are exciting because applications can simplify our lives and accelerate our economies. However, since the concepts are virtual and abstract, many people are uncertain about what these coins are, how to value them, and how they should be treated legally in the real world. 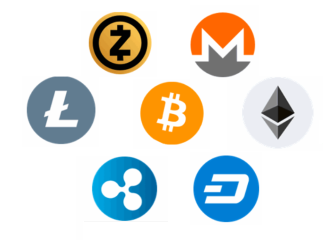 Popular crypto coins include names like Bitcoin, Ethereum, Litecoin, Bitcoin-cash, Monero, Dash, or ZCash. Coin creators and promoters have sought to define cryptos as currency, financial securities, or as a means of exchange. While certain coins may take on some of these desired characteristics at its core a crypto is a commodity. Lets demystify cryptos by describing what they really are, where they should stand in a trading and tax environment, and how they may be regulated by a state. Cryptos are not currency because you cannot use them directly to pay a tax. Cryptos are not currency because they don’t have a guaranteed value to anyone. There’s not any banks we can identify that will take your cryptos in exchange for a debt or a liability unless it were first exchanged for currency. The name “crypto-currency” is not correct because such coins are not legal tender in any state. We should call them simply cryptos. A “crypto” is a digital coupon. They’re not worth anything until you decide to cash them in. In fact, we discard manufacturer’s discount coupons in the trash every day. The only time a coupon has value is when you have an opportunity to exchange it for up to 100% discount on a tangible item. Cryptos are tokens, credits, coupons, vouchers, items, or virtual goods. They are commodity items similar to tomatoes, corn, peppers, oranges, gold, or silver. Cryptos are virtual goods where as peppers are material goods. Virtual goods may also include e-books, gaming credits, access rights, or simply experiences. Material goods are tangible you can touch them, feel them, and smell them. There is another way cryptos a commodities. You create cryptos by applying electricity, computing power, real estate square footage, heating, cooling, and communications interfaces. You create peppers from a seed, water, sunlight, and ground. You wait a while, as you apply labor, and then the item grows. Most states accept cryptos as commodities. For example bitcoin is traded as a commodity on the COMEX exchange. We have seen how any crypto just like any pepper has a cost. If you decide to exchange with your neighbor a tomato for a pepper, a crypto for a pepper, a crypto for a tomato, or a crypto for a crypto it would not be considered income when my cost to obtain the item is the same. These transaction types are called “like kind” exchanges or barter exchanges because they do not involve currency. Sometimes the labor effort to account for a barter exchange transaction may result in a loss. For example, the exchange may involve personal favor or gifts based on relationships. Or losses from handing over your car keys to your fifteen year old. Transactions such as these are not commonly reported as tax revenue or loss. The price increase in 2017 has created some crypto millionaires and obviously the state wants to tax the profits. However, in 2018 we have seen more than 50% decline in market values. Crypto prices are volatile. There is no guarantee that a crypto holder has made a profit. The following table identifies the types of cryptocurrency transactions and recommends the standard governments should use to determine tax-ability and record keeping requirements. A taxable event may occur when when you exchange a crypto for an item that has a market value. In this transaction type you effectively exchanged a crypto for state currency and then exchanged the state currency for an item. Since you received the state currency and the crypto is worth nothing, you gained the amount of the currency minus your cost basis for acquiring the coin. When you exchange a crypto for an item without a market value then you exchange zero for zero. When you gift a passer’s bye with a mango that fell from your tree does the receiver need to report it as a taxable event? The mangos may rot away if left under the tree and become worthless. What tangible thing happened for the receiver since they may take it home and toss it into the garbage or set it in storage to gather dust. Items without accessible markets have no market value. Such items have intangible value and cannot be taxed until they are redeemed for currency. So what happens when you exchange a crypto for another type of crypto. You may be exchanging a worthless credit for a worthless voucher in which case you exchanged zero for zero. From a tax standpoint your gain or loss would be the cost basis of the seller minus your own cost basis. It cannot be a market’s currency value of the coin at the time of the transaction minus your cost because you did not receive currency. If you were required to exchange a crypto for currency and then the currency for another crypto you would incur additional costs from fees extracted to make the currency available. Your cost basis would be increased. Whether your transaction results in a net gain or net loss cannot be accounted for on a currency basis nor can a tax liability be assigned. This is because you don’t know the sellers cost, the market volatility is high and who knows what a fair market value timestamp would be, you did not receive currency, and the overhead of reporting the transaction may result in a loss. When you exchange cryptos for cash or currency then you may or may not have a taxable event. That may have to do with the size of the transaction and the frequency of the transaction. Just like any other commodity, cryptos become taxable in a trading environment especially when they are converted to currency on a large size basis, on a high frequency basis, and when a capital gain has occurred. Merchants and traders with high value transactions like real estate, cars, and appliances may have to pay a use tax, sales, tax, property tax, or license fees.These transactions would need to be counted for reporting in case of audit. Merchants with high frequency transactions of any amount may need to pay import duties, sales taxes, and income taxes.The fees incurred would count as an expense and the profit from the transaction in most cases is zero since the merchant doesn’t hold the currency and typically cashes out frequently to pay expenses. Users with low frequency or low value transactions are likely to be consumers who may already have been taxed on income and now incurs a sales tax collected by the merchant. Consumers already pay use taxes, income taxes, and sales taxes. As such, the average consumer would not be expected to report transactions. Now some countries will try to exact a tax on every transaction requiring you to account for it whether it’s a profit or a loss. If this is the case in your region then users should lobby their government to get a fair use policy established. The standard we should advocate is the same as physical currency in the hands of a consumer since many cash transactions are invisible to reporting tools. They should also be treated like discount coupons issued by a retailer whose value can only be established when they are used in exchange for goods with a market value. Stringent reporting rules in some localities are recent and not based on existing banking standards. To large extent, they are forced by anti-money-laundering and know your customer regulations. However, well developed international trade standards require banks to report transactions greater than $10,000 USD. This is the same amount you report when crossing international borders. The capability to send or receive small amounts worldwide with very low or zero transactions fees is a value proposition that can boost the economy worldwide and especially for small businesses in individual countries. This is a killer app that can launch the next wave of innovation and value delivery. By embracing this platform countries can drive economic growth by lowering the barriers for small and medium size enterprises to participate in international trade.